Once a single country, North and South Korea were divided into a US-backed, capitalistic South and a Soviet-supported, socialist North at the end of World War II in 1945. After the Korean War, the world’s most heavily militarized border formally divided the Korean Peninsula, separating millions. These days, most separated families have no word on whether their long-lost relatives are still alive because their governments bar their citizens from visiting each other across the border or even exchanging phone calls, letters and email. The two Koreas have occasionally allowed separated family members to reunite when the rivals’ ties have been good. Before this week’s reunions, about 23,500 Koreans attended reunions, some 19,800 in person and the others by video, since 2000. The latest reunions, which started Monday, stem from rapprochement agreements that the leaders of the Koreas struck during a landmark summit in April. South Korea wants reunions to take place regularly, but North Korea often uses them as a bargaining chip in negotiations. 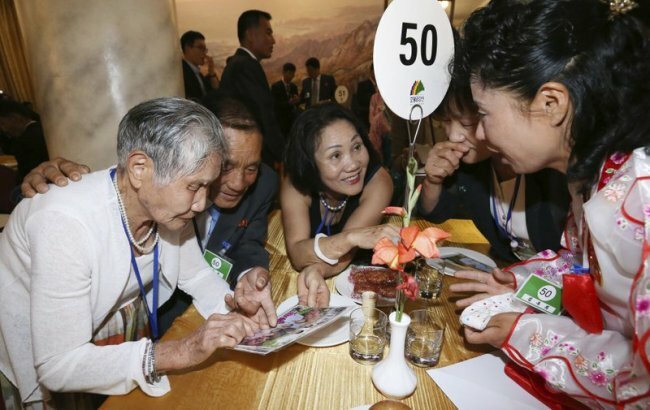 Experts say the North worries that too many reunions would enlighten its citizens about the economically affluent South, and eventually weaken Pyongyang’s grip on power. Some experts say warming inter-Korean relations could suffer a setback if the North refuses to accept a US-led call for complete nuclear disarmament, and that is expected to figure into another inter-Korean summit set for next month in Pyongyang. 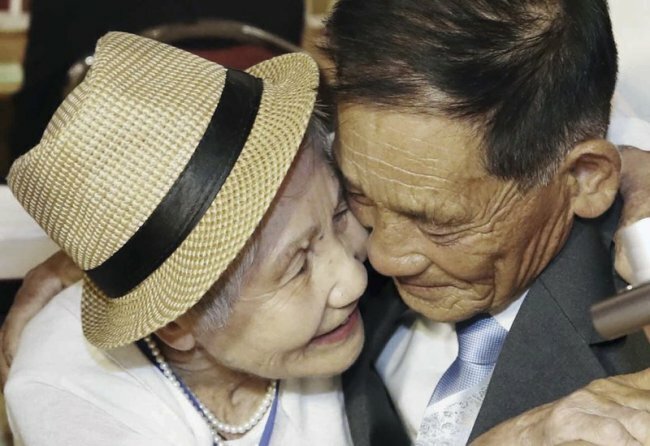 In South Korea, more than half of the 132,600 people who applied for reunions — including some of those who got to see their relatives — have died. More than 85 percent of the surviving applicants are in their 70s or older. Those who haven’t had a chance are desperate to reunite with their relatives before they die. 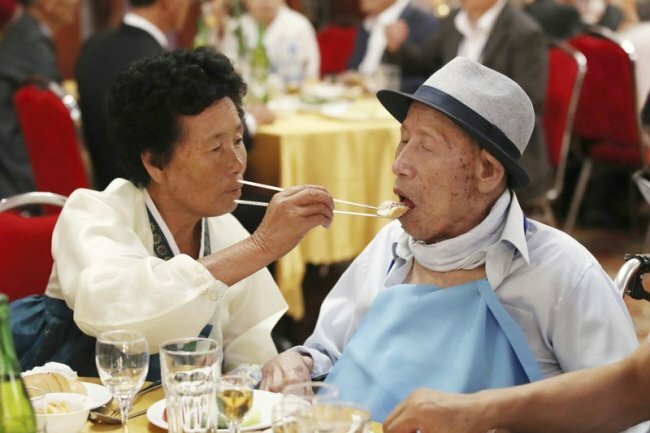 In the past, some South Koreans have died or become too ill to travel just days before reunions began. On Monday morning, many of the South Korean participants were in wheelchairs or helped by family members or support staff as they arrived at a Seoul immigration office.